When many people think of visiting an exotic location like Malaysia, they automatically picture themselves relaxing and unwinding in a peaceful, zen-like atmosphere that thoroughly helps them forget the cares of their daily life. 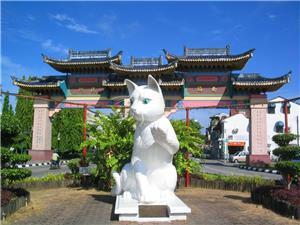 Although it’s still a bit off the beaten track when it comes to your standard Malaysian vacation package, the quaint rainforest village of Kuching is the perfect destination when it comes to unwinding and re-centering in a beautiful location that is all about spirituality and Asian culture at its finest. Kuching is known among travelers as a wonderfully diverse and fascinating city one of the most delightful in all of Eastern Malaysia. It is known for such attractions as the Sarawak Cultural Village and the majestically beautiful Bako National Park. The city’s most noteworthy signature attraction is the Rainforest Music Festival definitely a must-see for those who love world music or foreign cultural experiences in general. The local Divisional Mosque and surrounding cemetery are additional spots of interest for those interested in the spiritual experience of Kuching. Kuching is also considered a great spot to visit if you’re hoping to purchase high quality gold, native crafts, or other unique souvenirs to remember your time in Malaysia. When making a visit to a location like Kuching a part of your exotic Malaysian getaway, it’s important to make sure you secure convenient transportation options. Because of Kuching’s superior public transportation access, bus travel to Kuching is one of the smartest and most convenient picks for all visitors to the area. It’s also one of the most affordable, so you’ll be left with plenty of cash in your pocket. Kuching bus travel is also a great way to honor the integrity and beauty of the local culture and natural environment, as it’s the most eco-friendly way to get around. 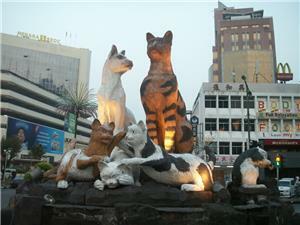 For more information about Bus to Kuching, check out details from us today!